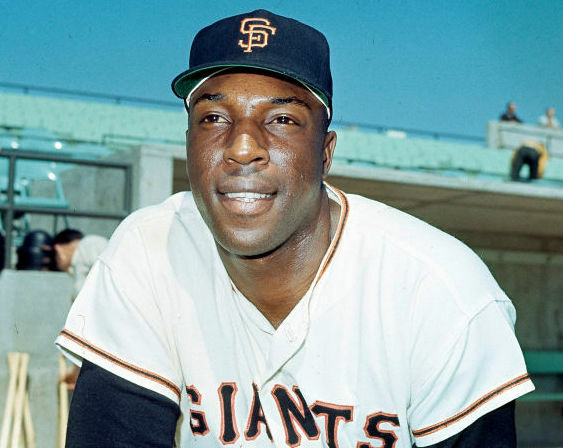 Willie McCovey died yesterday at age 80. As with all such events, it was another reminder of time passing. Willie's death was not unexpected, since he'd been having health problems for several years, and hadn't been seen in public, out of a wheelchair, for a long time. I can remember, as if it were yesterday, the excitement his arrival generated when he was called up by the Giants in 1959. That evening my Stepdad told me he'd gotten four hits (and I think two triples!) in that game, batting against Hall of Famer Robin Roberts. The balls he hit that day were all screeching line-drives. Willie's arrival that year created a dilemma for the Giants, since they already had an all-star first baseman in Orlando Cepeda, who'd won the Rookie of the Year Award just a year before. Neither player was a good outfielder, so it was clear that eventually, one of the two would eventually leave. 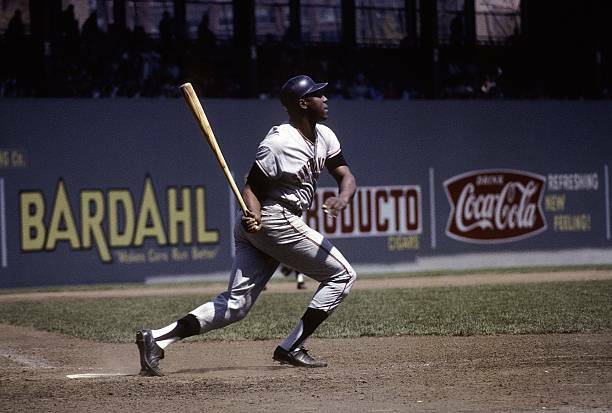 After the 1965 season, the Giants traded Cepeda away to the Cardinals. It was a heart-breaking event. McCovey had grown up in the deep South, in a big family. He was close to his Mother, and seemed kind of innocent. Hearing him speak in interviews with his high-pitched, aw-shucks manner, he sounded like a gentle Giant, all simplicity and devotion. And it was true, he was decent and humble about his gift, and never let it go to his head. Willie's swing was a thing of beauty, uncoiling from a deep crouch, and whipping upward as he spun in place, ending with the bat pointed upward behind his back. With his huge 6'4" frame, he looked like some mythical figure from legend. At first base, he could stretch his whole long body out, which is where he got his nickname "Stretch." I saw Willie play near the end of his career at Candlestick Park, in 1978. He was no longer the star performer he'd once been. In the first inning, a Pirate batter hit a lazy ground ball just to his right, and he half-heartedly dipped down as it squirted underneath his glove. The crowd booed. But Willie's knees and hips were shot; he was literally playing on his last legs. No one who saw him play in his prime would have questioned his greatness. He was a country boy who played his heart out. For eight years, between 1962 and 1970, he terrified National League pitchers. Unforgettable.